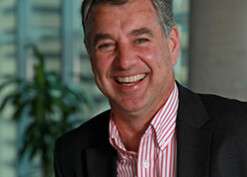 In October 2011, Professor Wesselingh assumed the role of inaugural Executive Director at the South Australian Health and Medical Research Institute (SAHMRI). Prior to SAHMRI, Professor Wesselingh was Dean of the Faculty of Medicine, Nursing and Health Sciences at Monash University, from 2007-2011. Before taking up the Deanship, he was Director of the Burnet Institute. In December 2017, Professor Wesselingh became the next AAMRI President-elect, and will take over as President of AAMRI in November 2018.